The POP! IRN-BRU product range. 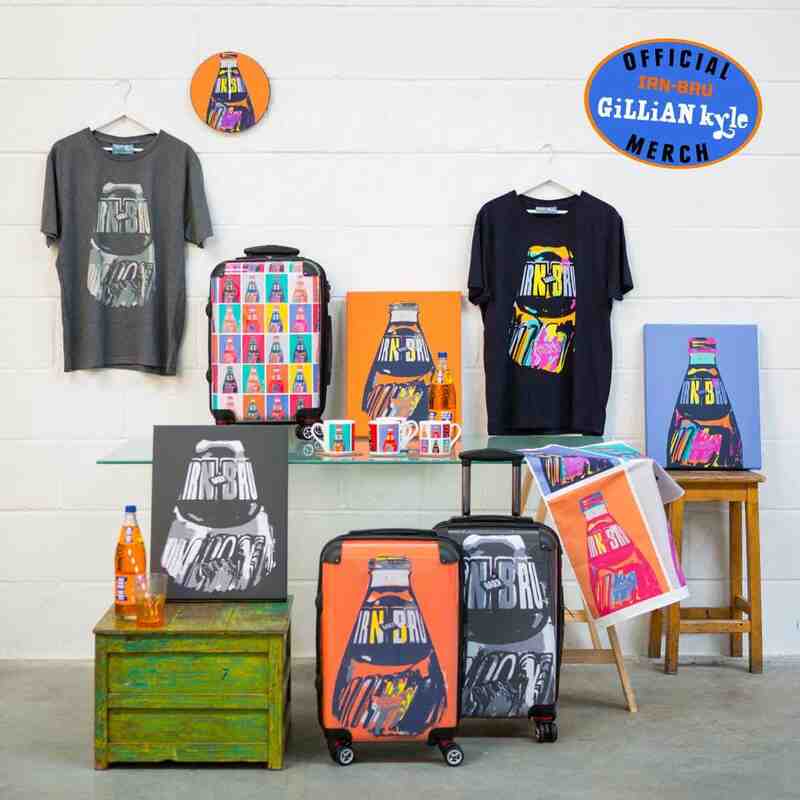 The newest and brightest merchandise from Gillian Kyle – and fully approved by AG Barr. 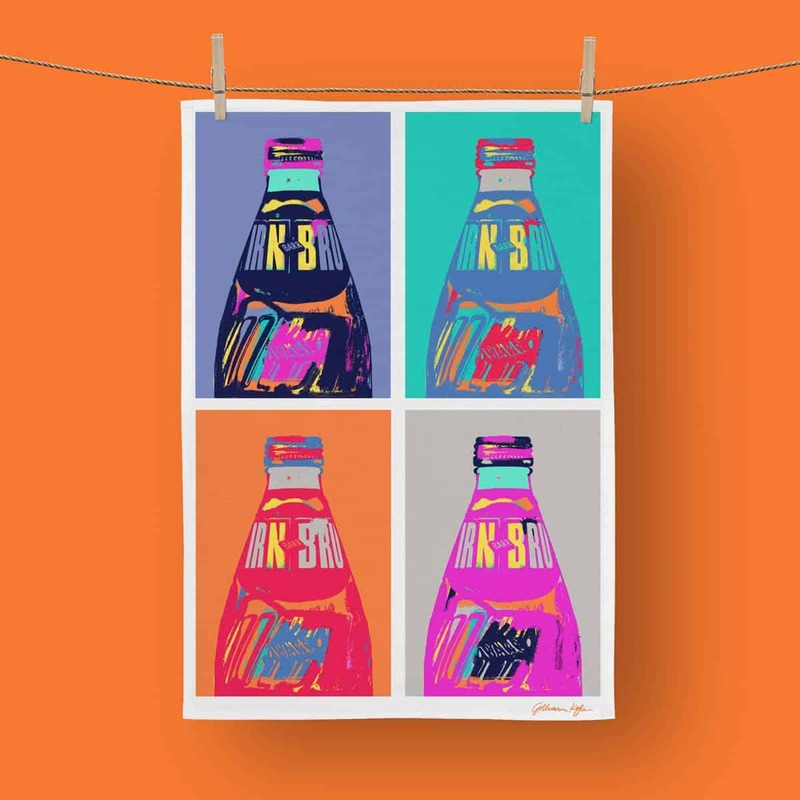 Inspired by the iconic vintage IRN-BRU glass bottle, Andy Warhol and the vibrancy of the ’60s pop art movement, this colourful POP! tea towel is made in the UK and guaranteed to brighten up even the dullest of winter’s days. 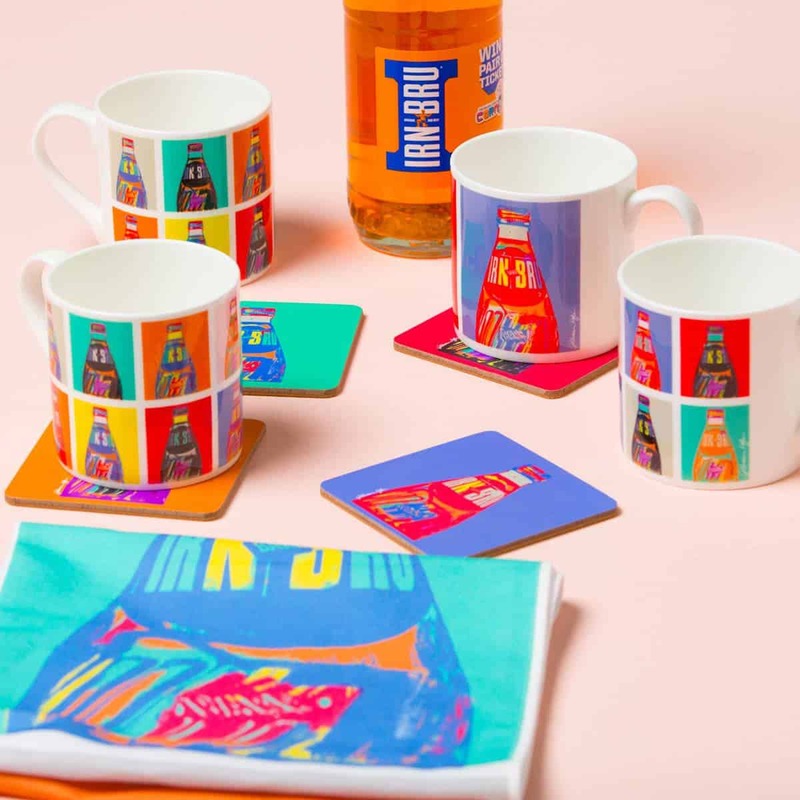 Check out our selection of tea towels here… and the rest of the IRN-BRU POP! 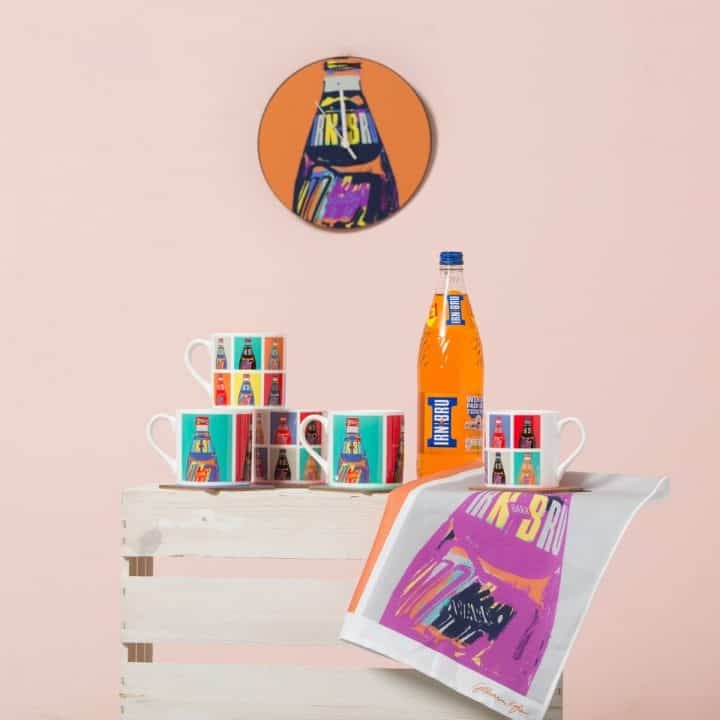 range here. 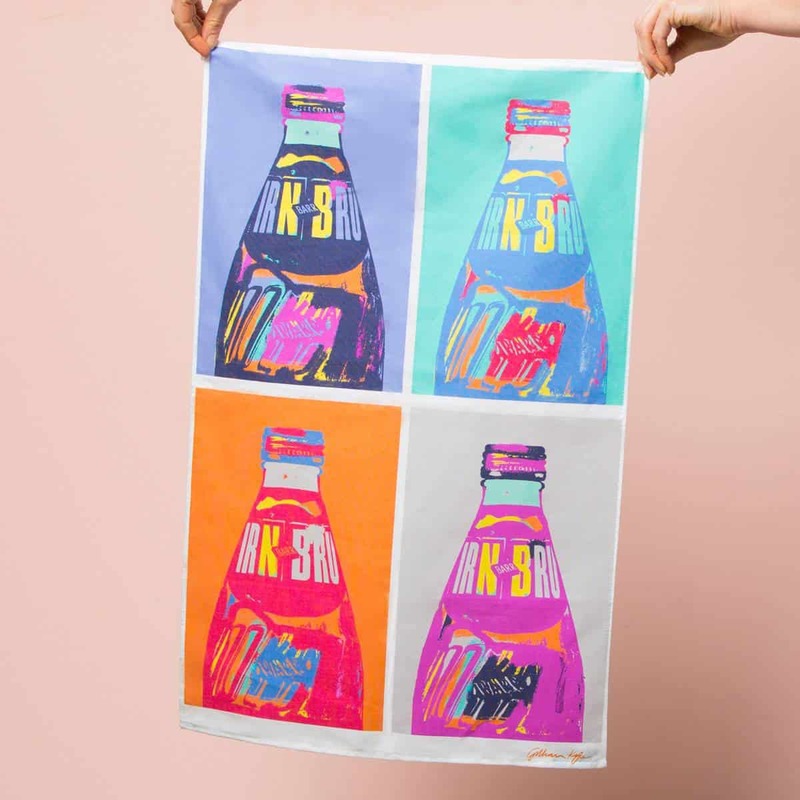 A sturdy tea towel in cotton with hanging loop. 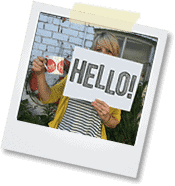 Measures a whopping 50 x 78 cm (19.5 x 30 inches) – large enough to tackle even the largest pile of washing.